We are the Angels, we are the Light reflecting your Light; we mirror all that you are to each of us. We, of the principalities of the Angelic Presence, fully acknowledge in this moment the Peace, Joy, Acceptance, and Beauty that each of you are. Open up your Hearts and feel these essences blended within you. Allow it to come to all aspects of your Being in this moment. Receive into your self’s, receive into your Soul’s Essence All That You Are, and all that you could ever be in this moment. We are one with each of you. I AM the Cosmic Great Central Sun of the Divine Mother and the Divine Father God at your service. Let us breathe in the essences of the beauty of the Temple of the Light, of the Angels, of the messengers of our creations. Allow the Angelic Presences to be a mirror for each of you and fully feel your own Angelic Self blending within you as it is coming into your creation to accept your Divine Order that you are. To be all that you all desire to be, to be in your acceptance of your joy and creation in these moments. We ask of you not to think of anything else in these moments but the creations of your multi dimensional self sitting within your consciousness. Allow your higher consciousness of your mind, of your heart to blend together of your Will and your Love so that your power can grow within this essence of God’s Light that you are. We are very excited to bring forth the energies of Lady Quan Yin this evening. So let us prepare you to receive her messages in the purity of your heart and in the lightness of your mind. We ask each of you in this moment to call upon your Higher Self. If you know her or his name, please breathe into their essence as they come into your physical being more fully than they have ever before. Allow them to expand into the body parts, into the cellular structures, into your feet, into your joints; feel these essences of your Higher Being fully being you, not just the thoughts, not just the feeling, the whole composition of integration within the focus that you are. Breathe these essences, breathe and fully allow you’re Higher Being to communicate with you to feel their completeness to flow within you. As you breathe deeply through this essence, you start to expand in the ability to create more in your life then you ever thought possible. Allow your emotions to be completely open deeper then they have before; not the emotions of your physical self, but the emotions of your Higher Self. What is their purpose within your world in this moment? Allow yourself to tune into that essence; tune into the creation of your higher mind and your higher heart coming together. 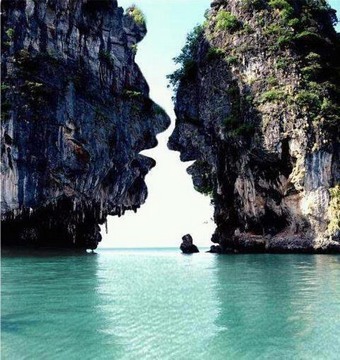 This is your Masculine and Feminine Divine coming together into the union within you; breathe into this now. Breathe in deeply and feel the Oneness within you as now the Masculine and the Feminine come into the beauty and the strength that will allow you to accept your Inner Power now. This is the stage that will assist you as the combination of energies has occurred for you. Know that elements are being released through this sound as it is putting yourself in a state of conditioning. This is the power of your highest essences fully blending within you as it moves through all structures of the physical conditioning as the emotional and mental faculties fully relax into each other. We, of the Divine Mother and Father God as the Cosmic Great Central Sun, want to fully embrace each of you to feel this energy. This is because this is an important aspect of allowing your highest sense to be within you as during your day it can slip away. No matter how much meditation or silence you are bringing within you, it is when you are going through your day-to-day thoughts, processes, and communications with others, in your working day, or just walking by another person that can send you spiraling downwards. It is important that we keep the height of these energies; so we now ask for a dispensation to allow this essence of your Feminine and Masculine Divine to fully be the deciding factor within your physical conditioning. Breathe and feel the purest essence of your embodiment to be activated now. We say to you, “Utilize these syllables in your own chant.” It is a Whoa and then an Ah\H, it is a WHOA AH. Speaking the sound of WHOA expands the frequencies within you and the AH frequencies fully allows it to be accepted. WHOA AH WHOA AH WHOA AH WHOA AH. Feel now the completion that is occurring within you. Breathe in deeply all the way through your core, all the way through your chakras into your Earth Star and expand it outward. Feel the emitting energy go up through the Earth Star to the Soul Star and then it encircles around you. Try this exercise on your own and you shall see a definite difference in you sustaining your acceleration as your Feminine and Masculine Divine fully want to work within each other. This is also going to assist you in your manifestations to be the alchemist as you cannot be the supreme manifestor of your desires until you allow the enfoldment of these essences to come into beingness of your physical self. This is the way it is. We, of the Divine Mother and Divine Father God of the Cosmic Great Central Sun embrace you in this essence. We are one always. Feel your oneness deeply. I AM, I AM the Cosmic Great Central sun over-lighting all Great Central Suns to assist in cosmic alignment. So Mote It Be In The Light That We Are Together. We are one. It’s really terrific that you are on course! Just one single in five men and women love the work they do and locate the idea stimulative, but the majority folks merely whine about it and that’s the idea. Simply by seeking this kind of we are able to guess that you happen to be offering retraining several imagined, meaning you happen to be presently prior to the package. Take some time now to locate in places you wish to get and obtain proceeding..
deeper understanding of how the entire accounting cycle works through these templates. simplest processes that a company can contract out to another. to be more time consuming then the others. stay. However, these apartments can be rented for minimum 7 days. guest. You may start wondering, where to go and whom to consult for small enquiries.